As expected, Samsung took the wraps off its smaller tablet, the Galaxy Note 8.0, tonight at the Mobile World Congress in Barcelona. 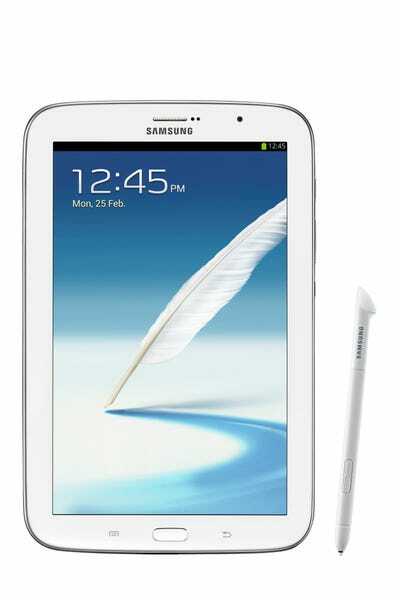 The Galaxy Note 8.0 has an 8-inch screen, which is approximately the same size as Apple’s iPad Mini tablet. The Note 8.0 runs the newest version of Android, and it has a few extra modifications from Samsung, including the ability to run two apps at the same time in a split screen. It’ll also come with Samsung’s S Pen stylus for doodling and taking notes. There’s no price or release date for the Note 8.0, but Samsung says the tablet will be available in the second quarter of this year. Launch dates will vary by country. Some versions of the tablet will be able to make phone calls, but that depends on country and carrier.